(AP) SPOKANE, Wash. - Washington's Department of Fish and Wildlife is giving people a chance to get a nice rack, even if they're not hunters. 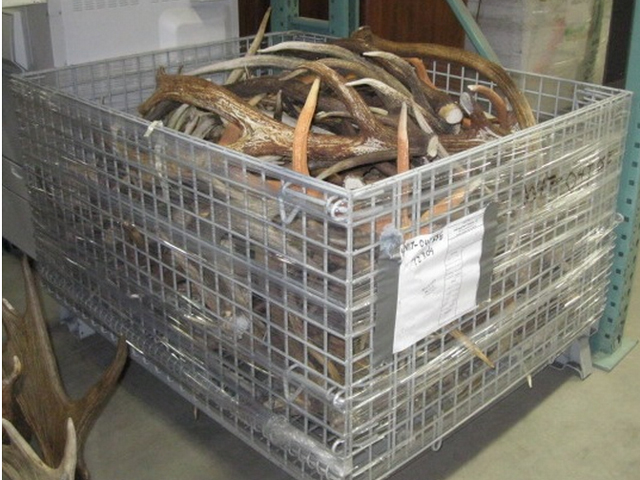 The Spokesman-Review reports that the department is auctioning off nearly 1,000 antlers seized from poachers over the past decade. The auction runs through June 5. Mike Cenci, the agency's deputy chief of enforcement, says it's a great opportunity for people to own trophy elk, deer and moose racks, but it also highlights that poaching is a serious problem in the state. Proceeds will be used to fight poaching, including offering rewards to people who report poaching incidents that lead to convictions. For more information, visit www.publicsurplus.com and search under Washington state auctions.